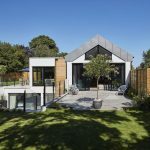 Buckinghamshire Passivhaus has become one of the most airtight buildings in the UK. As such, we consider what factors contributed towards their exceptional result of 0.08 air changes per hour at 50 Pascals. 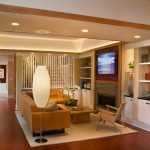 In this podcast we hear from key team members involved in the construction on this energy-efficient home. As luck would have it, this is actually our second in-depth video case study for The Hub (the first being Long Barrow). I'd got to know Janet Cotterell, author of The Passivhaus Handbook, quite well and been intrigued by the development of the PH15 system. So since autumn 2016 every week or so we have been filming progress on site. Now the building is watertight and ready for its preliminary airtightness test. The Passivhaus Homes PH15 system has been developed over time to address many of the challenges of achieving Passivhaus standard. The system is manufactured off-site and delivered in packs as needed. With good carpentry skills, it is easy to assemble. We spoke to Janet about it in episode 121 – the pros and cons of building with a kit or system. It's one thing using a ‘Passivhaus' system to meet the standard, but an outstanding result like this is only possible with a team effort. At the heart of this is the relationship between client, architect and contractor. There also needs to be buy in from everyone on the team. Carpenter Wayne was determined to get an airtightness result of 0! 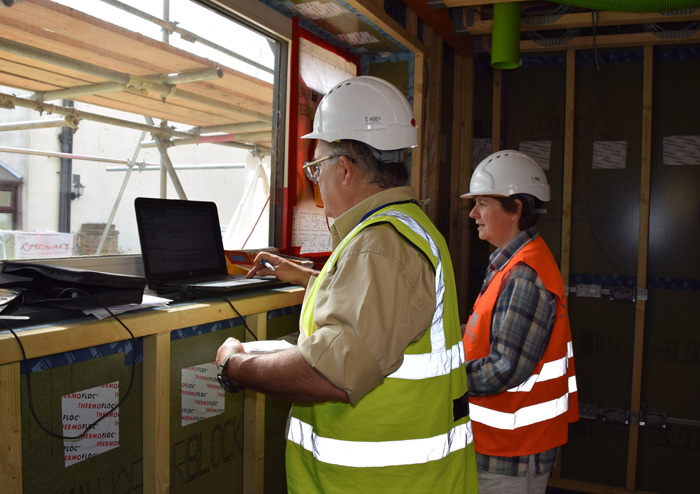 Not satisfied with merely meeting the Passivhaus criteria, foreman Wayne Kempster from Jigsaw Construction set himself the ambitious target of achieving 0 air changes per hour at 50 Pascal! Despite being impossible Wayne wouldn't aim for anything else. And let's remember this is Wayne's first ever attempt to build a Passivhaus. With 30 years of experience, Paul knows a thing or two about airtightness. In fact he was the key contributor for the House Planning Help documentary The Future of Housing. At Buckinghamshire Passivhaus he recorded a reading of 0.087 air changes per hour at 50 Pascals, his career best. When it comes to sustainability it's amazing how often simplicity comes into play. The PH15 system is designed in such a way that the airtightness layer is always easily identifiable. Janet stresses that proper contractor training is essential in this process. While it doesn't have to be a long session, it's extremely valuable to see how the system comes together. Glatthaar is one of the few basement companies to guarantee Passivhaus performance. In episode 163 Andrew McInulty helped us understand what makes an effective basement. 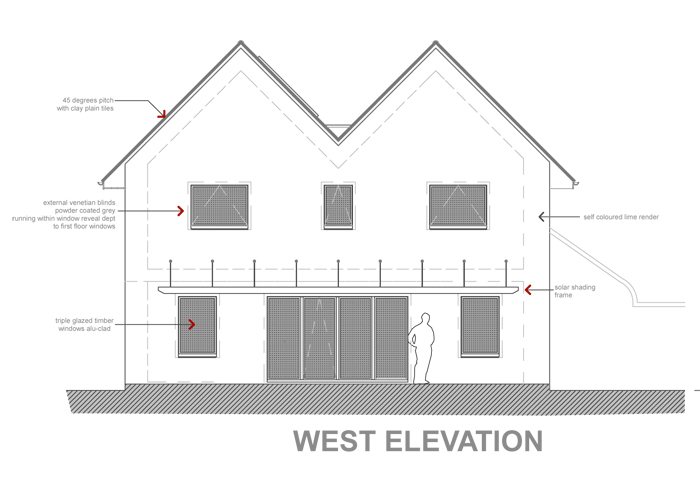 Buckinghamshire Passivhaus has a simple form and is built with a simple system. Exceptional care has been taken during the construction. There's a strong team with a lot of experience between them. Overall, everything has come together. 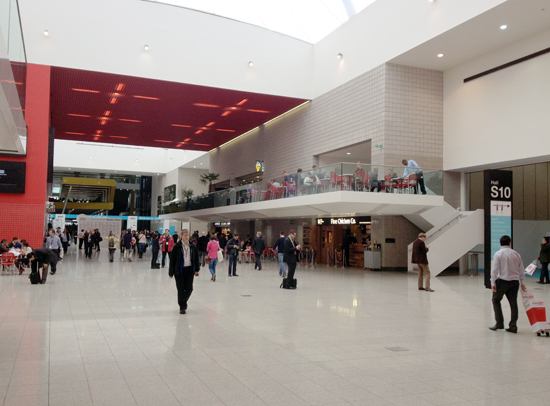 London's Ecobuild has just concluded for another year and Ben Adam-Smith shares his experience of the event. 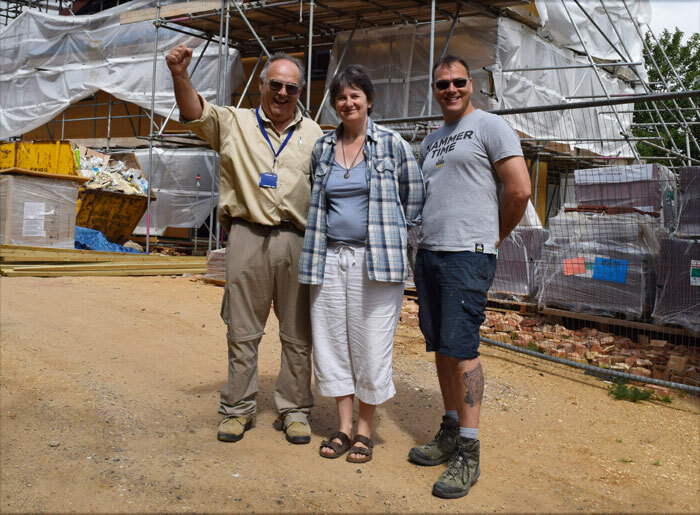 In this episode he chats to four people he met there – Janet Cotterell from Passivhaus Homes, Jon Bootland from the Passivhaus Trust, Jo Gooding from the UK Cohousing Network and Robert Stern from Litmus Films. 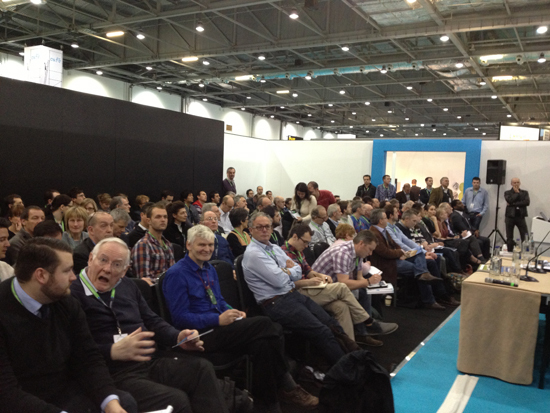 The Ecobuild exhibition took place at London's ExCeL between 5th – 7th March and played host to over 800 speakers. This episode is therefore just scratching the surface of a huge event and is really only representative of the sessions Ben attended. Janet is co-author of The Passivhaus Handbook. [We interviewed Adam Dadeby, the other co-author, in episode 5.] Part of Janet's seminar at Ecobuild talked about her own Victorian semi-detached home, which has a Passivhaus standard extension. This article in the Telegraph goes into more detail about the property. Ben was keen to understand how the house works as a whole, because the old part hasn't had a complete retrofit. Janet explains that she made a few improvements before moving into the house, such as highly insulating the floor and dealing with the air tightness on the ground floor. Once living in the house, this kind of work would've been too disruptive to carry out. 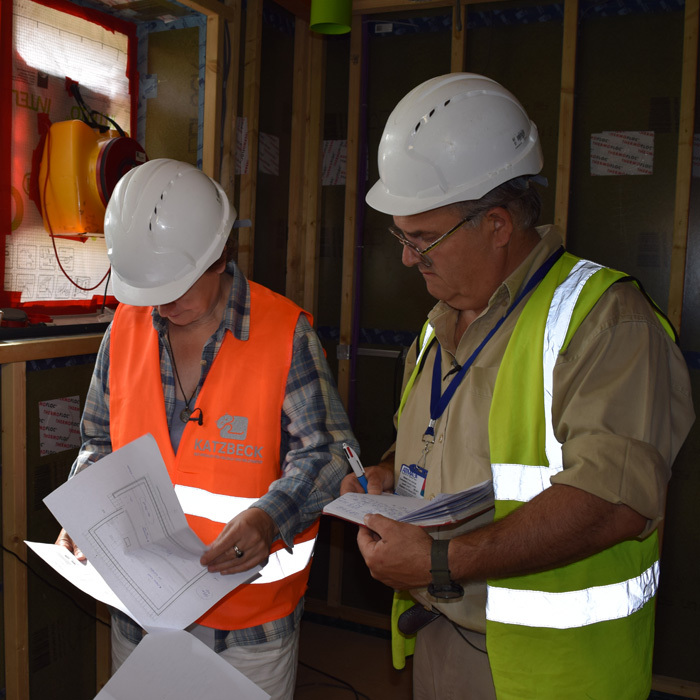 Janet is carrying out a phased retrofit of the property and so it was really important to have everything thought out properly. She does not want to block herself off from the possibility of reaching the EnerPHit standard at a later date. Wanting to do things properly, the new extension was highly insulated to Passivhaus standards. There are no doors separating it from the rest of the house, which was a very conscious decision because it's not got MVHR. Janet describes the Passivhaus extension as still maintaining its own climate, despite opening into the leaky old building. This also reduces draughts in the old building because there needs to be and entry and exit point for air to be drawn through the house. Jon Bootland is Chief Executive of the Passivhaus Trust. He explains how Passivhaus in the UK has made steady progress from just one building being certified in 2007/2008 to 150 at the end of 2012. 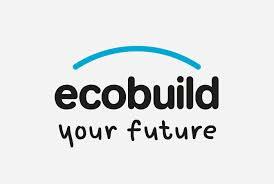 By the end of the 2013, there are expected to be a further 500 buildings certified. Jon says it is still niche but taking off quite quickly. Jon outlines recent changes in parts of Germany, Austria and Belgium, which are adopting the Passivhaus standard into their regulations (by 2015 and 2016). He says the UK would not be ready to do something like this and needs to develop supply chains, train more designers as well as gain further experience. This is about taking it slowly and getting it right, not rushing it and making a mess of things. Not only does Passivhaus deliver a very high quality home with very low running costs but it's the whole quality-assured process, using certified designers, certified products, and you can use certified people on site. If you are looking to create a Passivhaus, Jon believes the most crucial thing is to pick someone who’s done one before. The approach to the planning and layout the site is very different, so somebody who has already been through the process is invaluable. 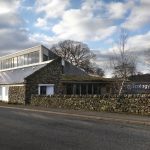 Find out more from the Passivhaus Trust and take a look through their list of members to see who has done the kind of project you might be looking to do. Jo is coordinator of the UK Cohousing Network. She explains that the origins of cohousing can be traced back 150 years in England through Ebenezer Howard’s garden cities movement. The first cohousing community was set up in Sweden in the 1960s, after a group of parents looked into how they might raise their children together while also maintaining privacy, too. 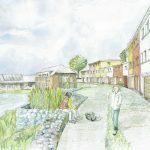 Currently in England there are 15 built cohousing communities, with 45 communities in development around England, Scotland, Wales and Northern Ireland. About 60% are intergenerational communities, while the other 40% are senior cohousing communities. They vary in size from about 20 to 40. Jo explains that you can have excellent building fabrics, the best technology, etc., but without the mechanisms for people to structure and create systems to be able to reduce, reuse, recycle a big part is missing. Peer support and education can really make a difference and that's where the communities come into their own. From car-pooling to renewable energy schemes, there are many benefits of working together as a community. Jo says that interest in cohousing is increasing as people want better places to live, somewhere affordable, secure tenure but also to fulfil a growing need for mutuality in support. 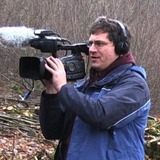 Robert Stern is a filmmaker who wants to create a documentary on woodsman Ben Law. Ben was featured in one of the best-loved episodes of Grand Designs when he built his house in the woods in West Sussex. Now Robert wants to create a film about Ben Law's Woodland Year and he running a crowdfunding campaign to raise funds for the project. While numerous broadcasters have approached Ben to try to do something like this he has turned them down. He feels confident that Robert would reflect his work in the woods as it is, not adding unnecessary glitz or reality show tendencies. This documentary needs your support to get made. Download a transcript of this episode. Adam explains that it was while he was studying sustainablilty at the Centre for Alternative Technology in Wales that the Passivhaus standard caught his attention. He particularly liked the fact that it focusses on a narrow goal of energy usage, which is backed up by science and the practice of what works. It also thinks about how people use buildings and how occupants behave in buildings. Detail and quality are fundamental. Adam gives examples of some of the other approaches he looked at in his studies, which include those that focus on Carbon more than energy (in terms of its resource usage during the lifetime of the building), those which are about natural materials and low embodied energy (low impact materials), and others which are absorbed by gadgetry and technology. In the UK, the Code For Sustainable Homes has up until now concentrated on Carbon. This has not had the desired effect, creating inefficient buildings plastered with PV and a woodchip board that no-one knows how to use or service. The Passivhaus approach is to address the fabric, to get the building to demand as little energy as possible. The choice of how you then provide that little heat that is required is a secondary consideration. Adam explains the benefits of aiming for a fabric focussed energy performance standard. If you're retrofitting there is also the EnerPHit standard. Using natural, low embodied energy and low impact materials is something that Adam would always want to do. However, when retrofitting his home there were severe space constraints imposed by the existing structure, making it difficult to use sustainable, but less thermally efficient, insulation. 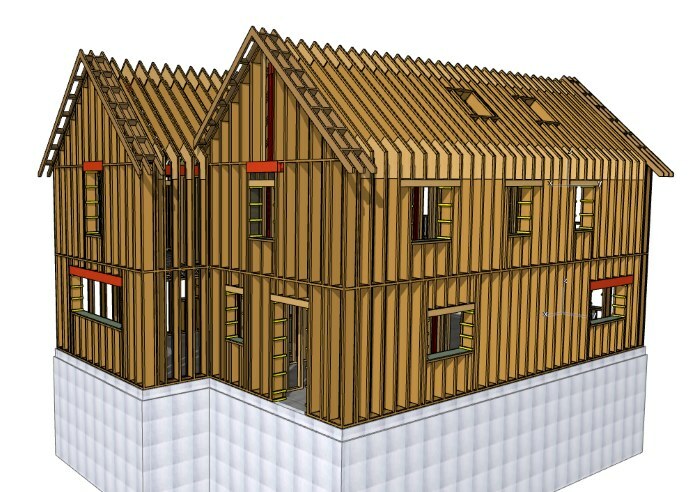 The impact of changing certain aspects of the design and materials can be modelled with the Passive House Planning Package, which helps you what the effect is on the energy performance. Four Ways to Measure Floor Area in the UK! Adam reveals to Ben that there is no agreed method of how to measure floor area in the UK, making comparisons of certain aspects very difficult. Ben cannot quite believe this! Germany keeps it simple with one method to measure floor area… again leading the way. Refurbish and Extend, or Build New? Adam emphasises the importance of spending time to get the brief right. He always wanted to get his house certified to the Passivhaus standard and so his biggest decision was whether to refurbish or build from new. His decision to retrofit was driven by the belief that he needed to save and re-use materials because his house had a lot of concrete in it. With the added complications and increased costs, in hindsight he says that he would probably have built new. In the UK there are tax benefits which favour new build. Adam suggests that a better approach could be to link the VAT rate to the energy performance of the final building. This tweak, which could be revenue neutral overall, would provide a huge incentive to build low energy housing. He also believes builders will do the right thing if they understand why adopting new methods is so beneficial. That's where training schemes could educate on the importance of airtightness. Reducing our throwaway culture and investing in the quality of buildings is a mindset we must adopt. We have become blinded by items that have a low initial capital cost, but require ongoing monthly payments (satellite TV and mobile phone subscriptions etc.). As you are likely to live in your new house for years and years, spending a bit more to get something that lasts is a lot greener. Co-written with RIBA architect Janet Cotterell, Adam talks about his new book the Passivhaus Handbook, which is aimed at all those considering building with this methodology. The book offers practical advice as well as enough detail for architects, builders, planners and the like to become better informed. It also has a section that is specific to the UK and another section about what it's like to live in a Passivhaus. This is our affiliate link to buy the Passivhaus Handbook on Amazon. Try not to change your brief. This is a good idea on any project but more so with Passivhaus because the implications will ripple through the build. Be modest with the size of house you want. Consider what you really need. The bigger the house, the more energy it's going to use (irrespective of anything else). The trio of client, architect and builder need to trust and cooperate with one another. This is the most important success factor for any build. Download a transcript of the interview with Adam Dadeby. Building a House You Both Want! 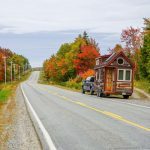 Ben Adam-Smith describes his first major mistake – getting carried away on a solo mission and not involving his wife in the process of thinking of their new home! Basic error, yes. Argument, yes. The lesson that has been learned: if you are in a relationship, you have to be deciding things together. You have been warned! There's exciting news. We will be posting updates on Homebuilding and Renovating's website about what we get up to on the House Planning Help Podcast. If you've ever wondered what it feels like to live in a Passivhaus, then Adam Dadeby may have the answer. After retrofitting a property to the Passivhaus standard, you can now stay at the Totnes Passivhaus Bed and Breakfast and experience the excellent comfort and superior air quality for yourself. It's the only Passivhaus holiday accommodation in the UK (as far as we are aware).